There likely are not many tickets left for the event. If you haven`t ordered your tickets yet, you might want to as soon as possible before they`re gone! Meet at Will Call at 9am Sharp. 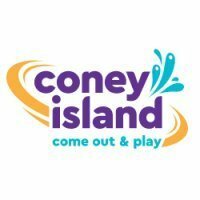 DUE TO THE LARGE VOLUME OF TICKET SALES, Kings Island AND KICentral.COM HAVE AGREED TO CONSIDER THE EVENT SOLD OUT AS OF FRIDAY, JULY 27TH AT 5:00! If you haven't gotten your tickets yet, now is the time!! The parking lot will open early for you around 8:45. BE EARLY! There will be a a booth at the old season pass entrance (near will call) where you can present your meal ticket and get your lanyard. DO NOT LOOSE YOUR MEAL TICKET! That is both your ticket to get your lanyard AND you must present it at the International Restaurant in order to enter. No rainchecks, refunds, exchanges, etc per park policy. In the event of rain, the schedule may be altered, however almost all events will go on as scheduled. 8:45 - The South Tolls will open early to accommodate the KICentral group. BE THERE EARLY! 9:00 - Pick up your lanyards at the table near Will Call. HAVE YOUR MEAL TICKET! 9:15 - Flight of Fear backstage tour. Meet with group at Will Call. 9:50 - First Ride on Firehawk! In the event that Firehawk does not open with the park, there will be a first ride on Flight of Fear instead. You MUST be at the Flight of Fear backstage tour in order to do the first ride on Firehawk. Otherwise you MUST enter with the general public at 10:00! 10:00 - KICentral Table with lanyards closes. If you arrive after 10:00am, you may pick up your lanyard at Guest Relations. 11:00 Sign Shop Tour - Meet at the Boomerang Bay sign at the entrance to the picnic grove in Nickelodeon Universe. 12:30 - Son of Beast Backstage Tour - Meet at Face/Off. 2:30 - Exclusive seating at Endless Summer on Ice with meet and greet with cast following. Arrive at the Paramount Theatre at 2:30 for early seating before the general public. 4:15 - Beast Backstage Tour - Meet at The Beast sign in Rivertown. 5:15 - Dinner in the International Restaurant. You MUST have your meal ticket present to get your food!!! 7:30 - An evening in the Paramount Theatre. The fine folks in entertainment have opened up the Paramount Theatre to us and you have the opportunity to view some really intersting old Kings Island promotional videos as well as some other fun presentations on their GIGANTIC Christie Screen. 10:00 - Final rides on all 7,359ft of The Beast! I tried to get my tickets but it requires a password??? What it is so I can get mine!!! Come on you can not deny the fear fest mascot!!! Want more than anything to meet the people at the ICE SHOW!!! Seen that a lot!! Already buddies with the people at the other shows. Ya all know me. If you have trouble getting your tickets AFTER RSVPing at This Site then you can directly purchase tickets from This Site. Try using IE to submit the RSVP form. My brother and I got our tickets in the mail today and are pretty excited. I found it pretty interesting that on the receipt it has "Paramount's Kings Island" twice yet on the ticket and the envelop it says just "Kings Island." Oh well looks like I'm out of luck for this event maybe I'll be able to attend the next meeting I was looking forward to meeting most you guys that I've chated with since PKIU went down the thing is I'm a very poor college student I spend most of my money on School Books,Car payment, Apartment rent,and Food Etc ..sadly I dont get paid until wedesday. I will look forward to reading the TR's have fun all of you that are attending. We bought our tickets today. My daughter and I will be there! Both the staff of KICentral.com and Kings Island are absolutely blown away by the huge response to the event. We'll see you on August 4th! For those of you who didn't get tickets, hopefully the event will go well and we'll be able to do it again in the future. I won't have the number until next week.